We are one of the major distributors for Various reputed brands in Profile Sheets, including National, Tata, Uttam etc. Established in the year 2010, we Waltzer India, are a famed enterprise engaged in manufacturing, trading, distributing, wholesaling and supplying a broad assortment of Industrial products and Accessories. We have achieved huge acclamation for providing Safety Products, Concrete Accessories & Additives and Structural Steel. These products are designed and fabricated using high-quality raw material and advanced technology in adherence to international quality standards. 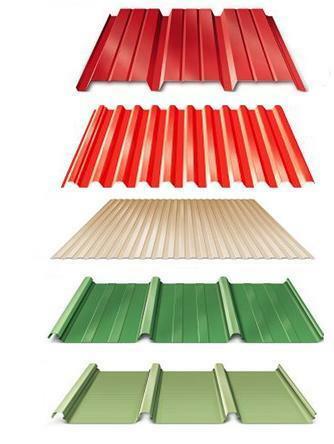 The offered products are highly appreciated for features like optimum performance, high efficiency, sturdy construction, elevated durability and longer service life. In addition to this, we also provide reliable services of Roofing Solutions and Thermoplastic Paint Works at equitable price tags. Keeping the record of variegated market demands, we have implemented state-of-art infrastructure facility for providing broad catalog of products. Our advanced production and quality testing unit have enabled us to manufacture variety of defect-proof products with utmost precision in diverse stipulations as per latest industrial standards. Moreover, with the effective utilization of skilled personnel, we have attained extensive clientele base to serve with uttermost satisfaction.